My friend Professor Steve Katz and I took a walk along the shore of a nearby river to investigate. Katz is an environmental scientist here at Washington State University. He pointed out some big rocks along the river. That’s where the salt comes from, he explained. Yep, it all starts with rocks and dirt. Rocks contain minerals, such as salts. A lot of it is the same kind of salt you might sprinkle on food: sodium chloride. 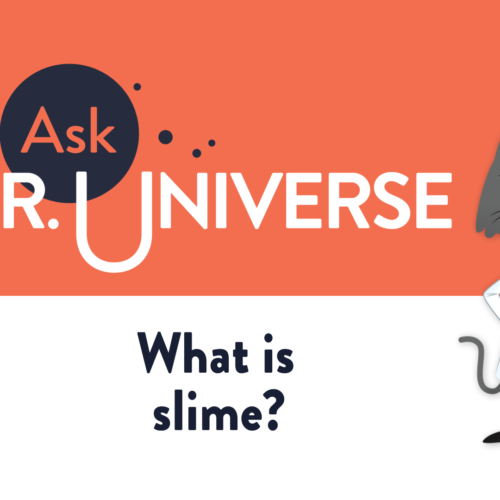 As you might guess from its name, the salt is made up of sodium and chloride atoms. There are other kinds of salts made up of different atoms, too. And water is really great at dissolving them. You can actually watch this happen just by adding a little salt to a cup of water and mixing it with a spoon. As the salt’s sodium and chloride atoms break apart from each other in the water, the grains of salt disappear. The chemical reaction in the water has pulled the different parts of salt away from each other. Likewise, the water in streams and rivers is really good at helping dissolve the salts from rocks, too. The salt travels through the streams and rivers into the oceans. When the water from our ocean evaporates to become clouds, the salt is left behind. There’s literally tons of it, too. According to the National Ocean Service, if we took all the salt from the oceans and spread it around the Earth’s surface, it would form a pile nearly 500 feet high. Katz explained that oceans weren’t quite as salty in their early days as they are today. But once the oceans got saltier they stayed that way, more or less, for nearly 4 billion years. Not all the salt stays in the ocean. And the faster salt enters the ocean, the faster it leaves. Salt comes in from places like rivers and streams, and once it reaches the ocean it goes into other places besides the water. Ocean animals are well equipped for their saltwater home. Fish can pump out extra salt through their kidneys and special cells in their gills. Even birds that live near the ocean, like albatrosses or seagulls, can drink seawater and process the salt using special glands behind their eye sockets. Salt also ends up at bottom of the sea. Salt that sinks to the bottom can form into rocks made out of sodium chloride or sodium sulfates. But no matter where the salt goes, one thing is for sure: We can count on the ocean to be just about as salty tomorrow as it was today. 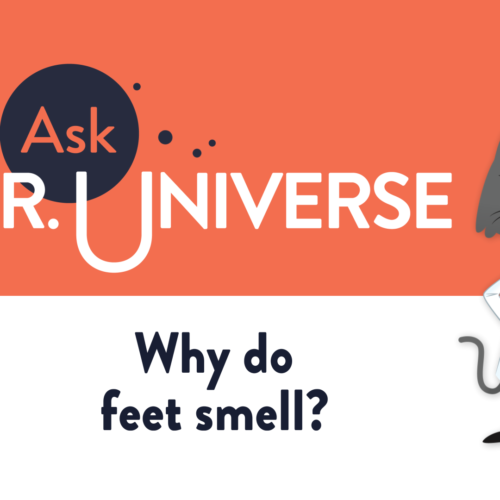 – [Narrator] Hey cool cats, I’m Dr. Universe, here to answer your baffling science question. Like this one. 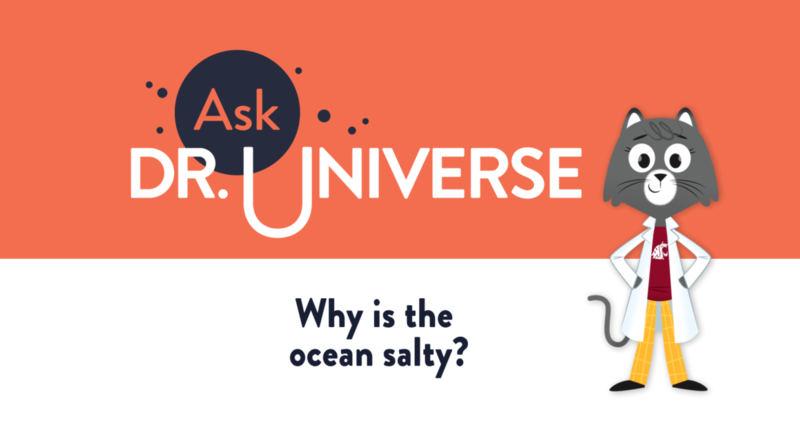 Dear Dr. Universe, why is the ocean salty? If we took all of the salt from our oceans and spread it over Earth’s surface, it would be almost 500 feet high. It all starts with rocks and dirt on land. Salt is one of the many minerals in rocks. A lot of it is the kind you might sprinkle on food, sodium chloride. As you might guess, it’s made up atoms called sodium and chlorine. Water is really good at dissolving salt. You can see this in action, just by adding a little salt to a cup of water. The chemical reaction in water, pulls different parts of salt away from each other. Streams and rivers help dissolve the salts from the rock and carry it into the ocean. But not all salt stays in the ocean. 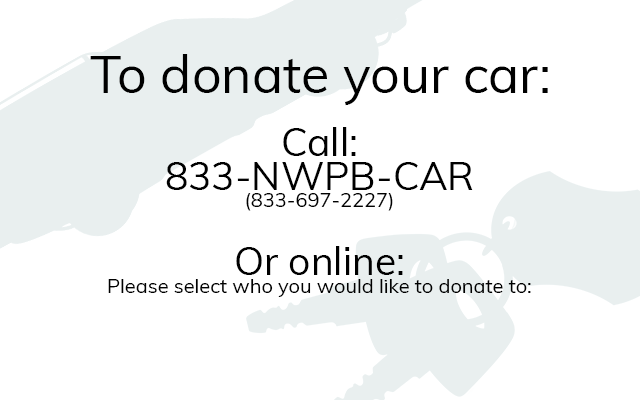 Find out where it goes. 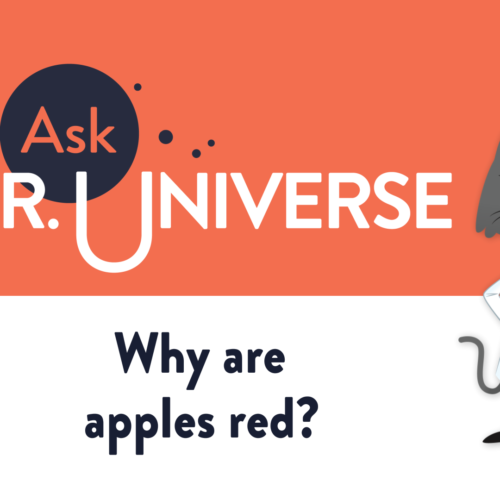 Or send me a science question of your own at AskDrUniverse.wsu.edu.